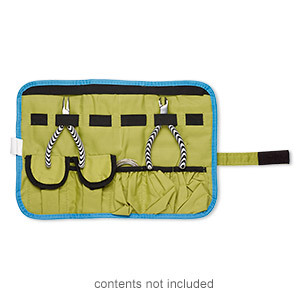 Pouch, canvas / elastic / VELCRO®, blue / green / black, 14x9-1/2 inches with hook and loop closure with wraparound strap. Sold individually. 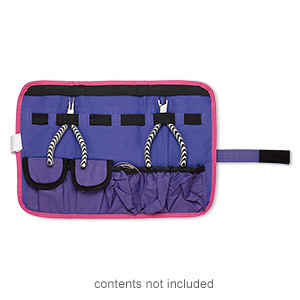 Pouch, canvas / elastic / VELCRO®, pink / purple / black, 14x9-1/2 inches with hook and loop closure with wraparound strap. Sold individually.